Before reviewing the Easton Mako beast bats, let’s give a brief introduction to the Easton makers. But before I share it, you should know in this article we will reviews all Easton mako beast bats. We review Easton Mako Beast BBCOR, Mako Beast XL Composite Youth Bat, Mako Beast Senior League Big Barrel, MAKO Beast Tee ball bat. Well, the Easton makers have been in the industry of producing bats for some time now like for more than 30 years. It started off in the year 1969 with their first product made from aluminum. Though today the aluminum material is a standard material design used. The Easton makers are keen to keep to the standard of creativity and originality. Though the innovation made by the Easton makers is the first place with their first in CU31, C405, Titanium, carbon and other materials. They have proven to be at the top of their game. Even more of this trend can be seen with bats like the Tri-Shell and the Connexion. It mostly has a barrel diameter of 2 ¼, 2 5/8 inches which makes it so unique. It normally has a composite diamond handle grip of 29/32 inches. The thermo composite technology (TCT). AABC and is normally certified with a 1.5 BPF certification. Drop weight range of -3 to 13.5 at most. Mako beast comp 3, Mako beast 2 composite youth, Mako Beast 2 3/4 12 Junior Big Barrel, Mako Beast 2 3/4″ 10 Senior League Big Barrel, Mako Beast Xl 2 1/4″ 10 Composite lies in their drop weight, barrel diameter and most at times the color variation. Though the material used is almost the same all through, they are all considered youth baseball bats. Also, a difference in their respective drop weight shows that while some can only be used by bigger or senior players, others can as well be used by smaller players even at ages 14 and below example is the Mako beast 2 3/4. This model comes with a drop weight of -3 which provides more strength and power. Made with an ultrathin handle of 29/32 inches which makes it easier to be held by players. It is the game fastest swing speed. Has a barrel diameter of 2 5/8 inches. Has a hyper skin grip of 1.2mm. Transfer of energy is made possible through the patented connexion technology. Hot out of the wrapper with a soothing performance. It has a massive sweet spot. None for now though speculations have been made about its durability. Coming new from the makers, this is definitely one bat you wouldn’t want to miss in your lifetime. With a -3 length to weight drop, this is one balanced bat that ensures its specifications. Also, new out of the wrapper and great hyper skin grip of 1.2mm, this bat provides a firm grip which can be held by most players. Lastly, it is not too expensive and can be affordable for the most played. Has a barrel length of 2 ¼ inches. This particular model comes in drop weight of -10 which aids proper balance, and control by the holder. Has an ultrathin composite handle of 29/32 inches which makes it possible to be hand firmly by the hitter in accordance with the drop weight. It has a hyper skin grip which is about 1.2mm in thickness. The technology behind is the connexion technology which helps to maximize vibration and speeds up the transfer of energy. The material is made up of composite material. It is made from TCT which is thermo composite technology that ensures the massive sweet spot and gives it more speed than usual. This bat is full warranty and comes with a complete full year warranty. Comes well with a hot out of the wrapper performance. Has a good pop sound and reduced or zero vibration. Has a good extended and balanced swing weight. The distinguishing factor between the Mako beast XL and the Mako beast is the end loaded swing, which is a presence in the XL and is it more balanced. This model XL gears greater weight at the end of the barrel and ensures a powerful and better-performing baseball that makes it possible for the ball when hit to move further with much intensity. With a price that is not too expensive, this bat satisfies its worth and promises to offer more to players. Drop weight of -10 which ensures proper balance and weight. It is a double piece patented conation technology designed bat which ensures an optimized feel. The TCT gives it a good swing speed and makes it massive. Has an ultrathin handle for easy control while holding it. It has a good drop weight which makes it possible to be used by smaller players under the ages of 14. Approved for use in USA and AABC. It is considered the most powerful composite bat ever produced. It comes in the different color design. It is quite expensive and sometimes bought through auction. Made from composite material and great firm, this is one bat that comes with zero vibration and an optimized feel which provides comfort to the holder. This Mako beast product is surely one that is recommended for all players as it reduces sting. It has a cushioned grip with aids firm control. It has a rolled end. It has a 2.75 barrel diameter. Comes with a drop weight of -12. Has a massive sweet spot with an incomparable speed. Its swing weight is balanced and firm. It is 1.5 BPF certified and approved for play in the USA. It comes with free shipping when ordered online and full 12 months warranty. May is not too strong. Coming as a junior youth baseball bat, the bat is definitely one of its kind and specifications. The product makers can’t seem to get over their craving for perfection. Though it might be a bit expensive to afford, this is just one bat that is required for most players in the junior league and can be used by even smaller players. It is considered a balanced bat because of its drop weight of -11. A firm grip of 1.2mm which makes it easier for anyone to hold. A connexion technology made from a double piece composite bat. Barrel diameter of 2 ¼. It has a balanced swing weight. It is fully stamped, and 1.5 BPF certified. Double piece designed bat made from composite material. Fully warranty for a year. May come in the single color of black which may not be attractive to others. With a balanced design for faster and accurate swings and a connexion technology, this bat surely qualifies its worth. Players would love using this to hit cause of the power and impact, and the bat is quite affordable as it is not too expensive to get and it is recommended for most players. 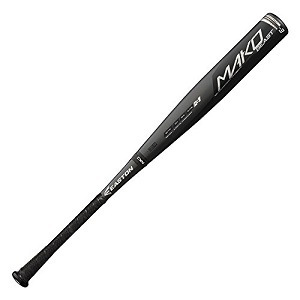 This 2017 Mako beast tee ball bat presents itself as an upgrade in the bat in the baseball game. With a material made from composite barrel design and a rolled end. One fascinating thing about this bat is that younger players can use it likewise the professional players. Having great features such as ultra-lite design, this is just a great bat. This bat has a drop weight of -13.5 which provides great balance and weight. It has a barrel diameter of 2 ¼ inches. Presence of a cushioned grip. The bat has a balanced swing weight. It is made from composite material. It is fully certified and warranty for used in the USA. Comes in different colors of white, black and grey. It is a one-piece bat made from composite material. A good thing about this bat is that it is very affordable and can be used by all players including the smaller players. It comes in different colors and has an ultra-lite design together with its cushioned grip. This brings the article to a near end as we have presented the prominent baseball bats from the Easton makers. It is no longer news that the makers of the Mako beast can do whatever it takes to get that great bat at your disposal. 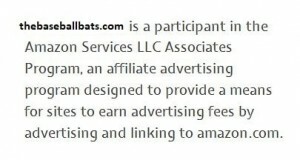 The bats reviewed above were thoroughly researched on, and questions were asked about their demand and their ratings. Easton makers are sure to get you any upgrade you need on your requirements with very affordable prices that looks attractive. So next time you may want to order or purchase a power horse, supercharged, zero vibration and excellent drop weight bats, considered getting yourself one of the Easton Mako Beast Bats as it promises to deliver even more than expected.